This Xbox 360 Wireless Game Controller in white is a premium gamepad that helps gamers enjoy the performance during any game. Featuring wireless connectivity at 2.4GHz RF, this Xbox 360 Core model never misses a beat and provides accuracy and precision at all times. Additionally, the ergonomic design ensures that the gamepad is comfortable enough to use even over long gaming sessions. Immediate payment of AU $46.50 is required. Top product and as described. Thanks. great seller. recommend, really fast. Happy with purchase. Real fast delivery. Great seller. Thank you. Official wireless controller. Everything you'd expect. It's official. It's well built. And it works well. If I ever need another 360 controller and they're still available I would definitely buy it again. 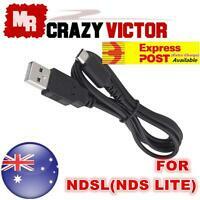 Works great on both Xbox 360 and Windows PC thanks to the USB dongle. I bought this purely so that I would be able to play all of the games on my pc from emulators through to individual arcade games without the hassle of untangling the wired controller cables while keeping it simple to be able to tidy up when the gaming is complete. 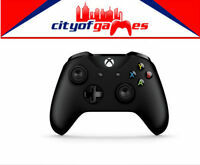 This item ticks all the boxes, it is comfortable as you would expect from Xbox accessories, the battery lasts a lot longer then the aftermarket elcheapos and the wifi adapter works a treat. Perfect exactly as I hoped it would be. For pc and possibly other devices you should look no further. 👍👍👍 The device comes with a USB terminal and batteries included for rumble pack, plugs straight into your pc or laptop and installs flawlessly. This is an awesome product to add to your set up as a lot of pc games are compatible with controllers. I wouldn't even hesitate to buy this again it's now a staple of my online past time. Get it Before they're gone.